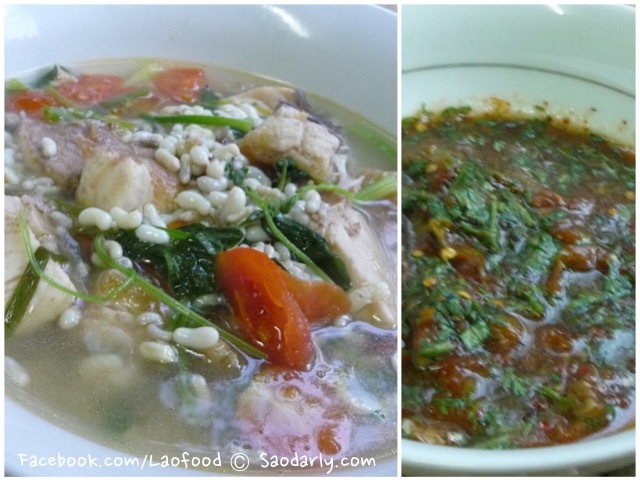 Ant Egg and Fish Soup ແກງໄຂ່ມົດແດງໃສ່ປາ (Kaeng Khai Mod Deng Sai Pa ) for dinner in Vientiane, Laos. These eggs are from red ants and they are nice and juicy with a sourly taste. 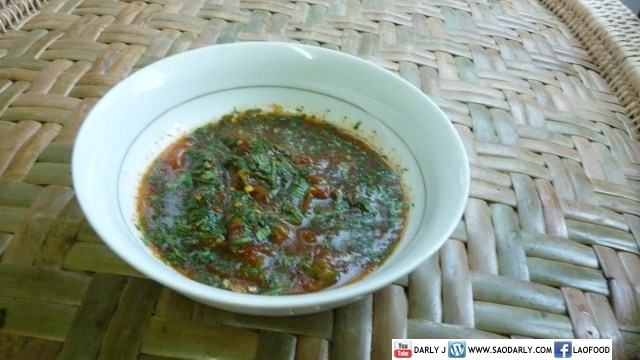 Padek or Fermented Fish Sauce, salt, and fish sauce were used for seasonings. 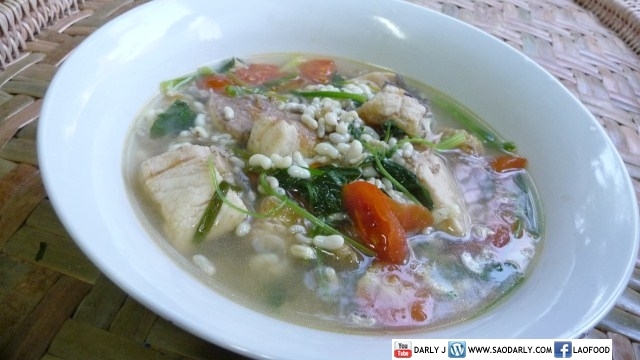 Aunt Kian added tomato, green onion, and lemon basil for more aroma and taste. She also made Jeow Mak Len ແຈ່ວຫມາກເລັ່ນ (Tomato Chutney) and steamed sticky rice to go with Ant Egg and Fish Soup.